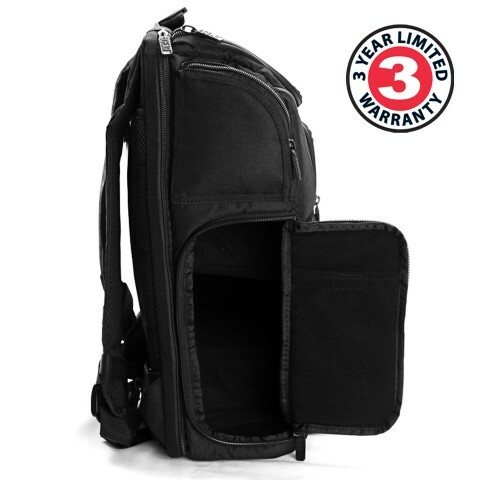 Heavy-duty buckles, handles and zippers make for long lasting use in any condition. 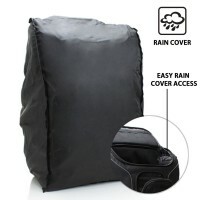 The high-quality nylon and fabric construction is reinforced with thick padding to always protect your device. 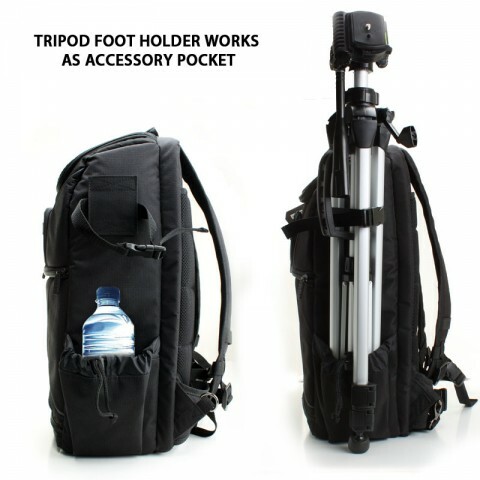 Padded shoulder straps and back also provide a comfortable and light-weight feel. 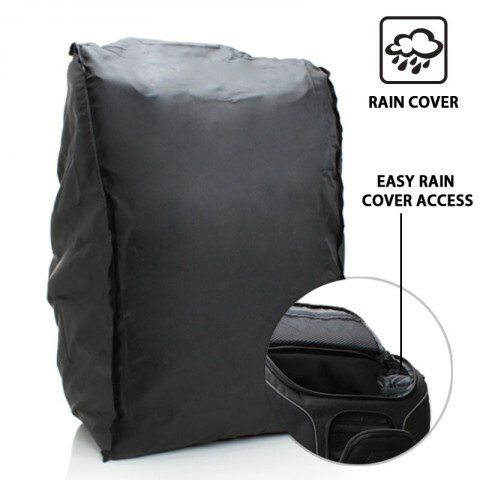 Although the backpack is weather resistant, it comes with a rain cover tarp to protect your gear under heavy rain or snow. 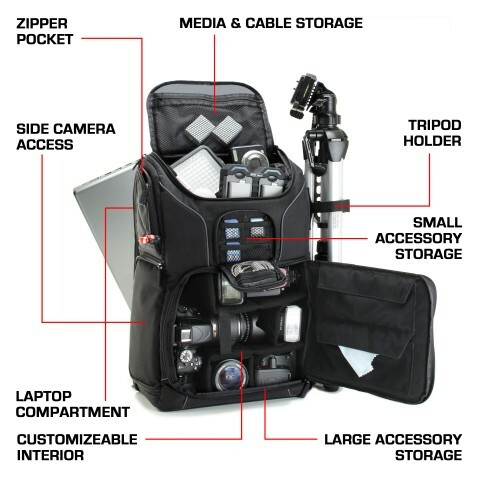 Large front zipper opening provides access to your camera, lens, lights and batteries. Side door allows you to grab your camera quickly, so you don't miss a shot. 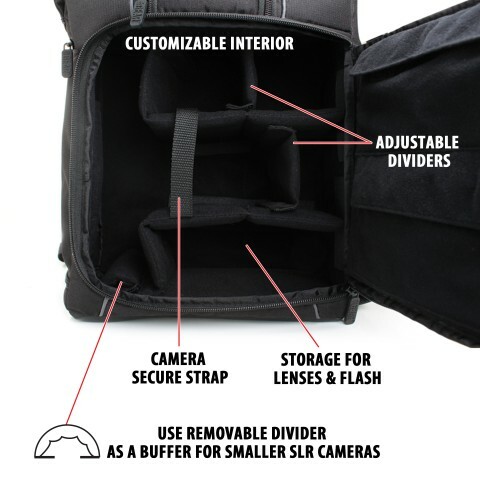 Velcro dividers lets you customize the camera compartment and accommodate your equipment however you prefer. 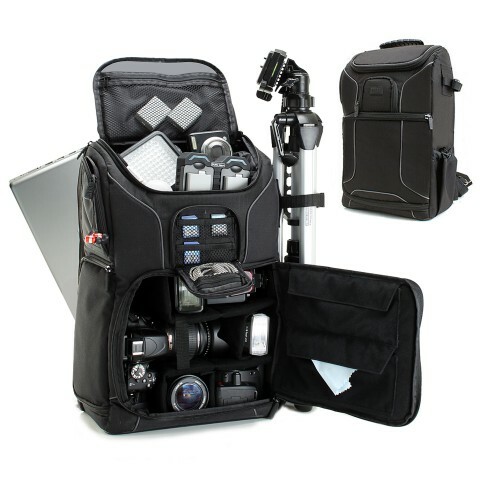 In total, there are 8 pockets to hold your camera accessories: memory cards, flash drives, batteries, adapters and more! 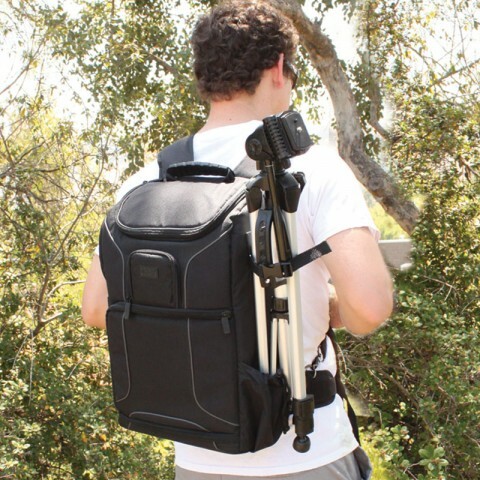 Tuck-away shoulder straps allow you to wear the bag on one or both shoulders! 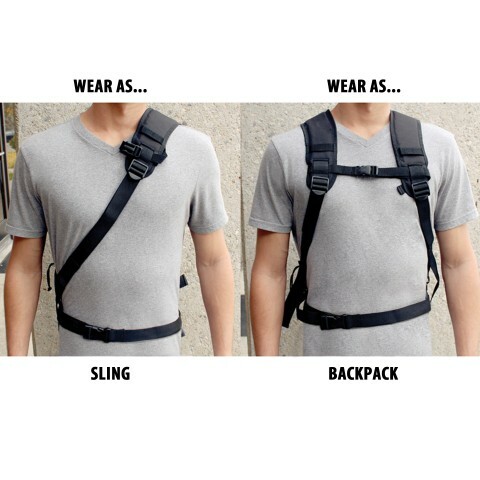 You can also wear across your chest as a sling. 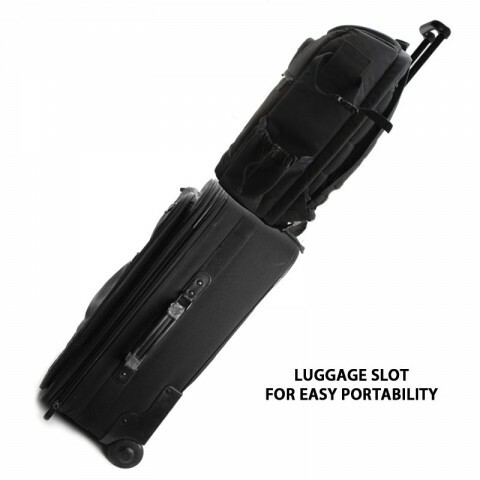 Stow away unnecessary straps into the luggage handle slot. 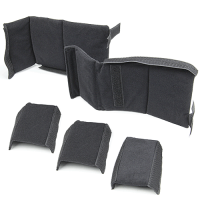 Waist strap included for weight management and comfort. 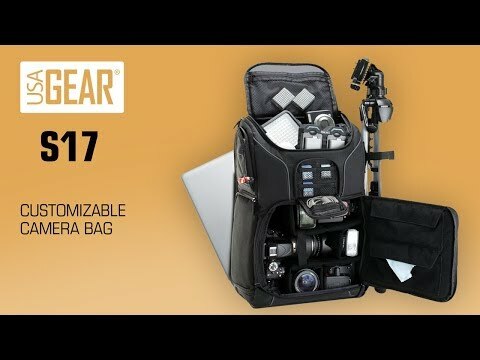 Includes a convenient tripod holding system with strap and foot holder and padded compartment (16.5"L x 10.5"W) for up to 15.6" laptops.